I'm pretty sure most of you already know what Breadstory is - and what it is they sell (bread, if you're wondering). A short history on Breadstory - it's founded in September 2002 with the first ever outlet in Mid Valley Mega Mall, KL. Today, there are about 20 outlets within Malaysia and still growing, offering Malaysians a selection of creative & designer boutique breads. Onto the selection of breads, there are plenty to choose from. Though it's not the most that I've seen, there certainly were more than enough for the average consumer. However, these are what made Breadstory really popular - they called it, the Flossy series. On the left, you'll get a Flossy Hottie, and all the way right, is their Flossy Signature with special cream sauce & chicken floss. Plenty of delicious buns - some of my favourites are the Spicy Anchovy, Musang Durian & Garlic Bread (trust me, the garlic bread was definitely one of the better ones that I've had). The Salted Egg Croissant is something simple, but done really well. Crusty, flaky and packed with a creamy filling of salted-egg custard. 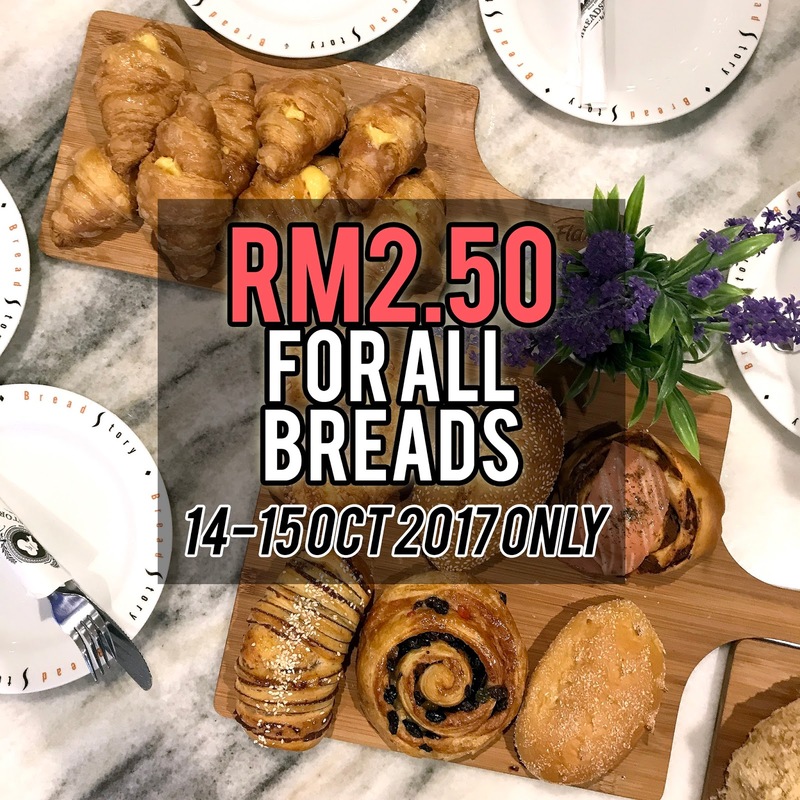 So, something that all of you have been waiting for - the RM2.50 FOR ALL BREAD ANNIVERSARY SPECIAL! So what are you waiting for? Book your calendars today and enjoy this 15 Year Anniversary Special!